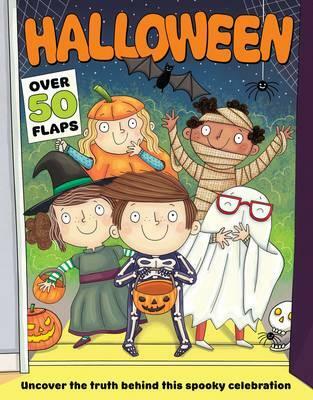 There are so many fangtastic reads for Halloween this year, I have chosen ones which will appeal to even the very youngest of readers. From our favourite friends Mr Men, lift the flap books with lots to discover, to early chapter books. There is something that will captivate, enchant and entertain every little monster in this spooky selection. When an invitation to a spooky party arrives on the doormat, Little Monster is very excited. Lift the flaps and help him to discover yummy and yucky treats and find his friends in a game of hide- and -shriek. Wonderful rhymes and bold illustrations make this book a tantalising treat for tiny tots. A real cloud pleaser which will delight and entertain. Watch as our music-loving skeletons find themselves in lots of trouble in this crazy, calamity story. Enjoy the humorous and detailed illustrations which capture perfectly the chaos unfolding in this wonderful rhyming rendition. 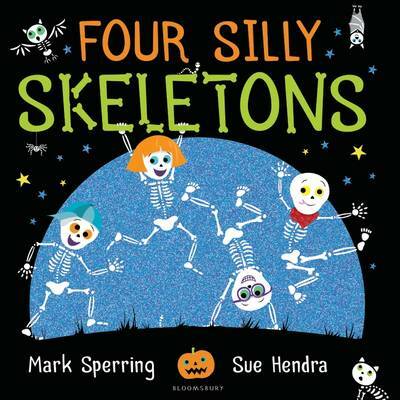 Join in the Halloween adventure and discover fun facts about trick or treating, dressing up, Halloween celebrations around the world and the history of Halloween in this interactive information book from Red Shed. With other 50 flaps to flip, this book is stuffed with intriguing information to amaze and amuse. Children will gasp in glee at the gruesome facts and relish the sumptuous spreads. Providing hours of learning and entertainment, a real spooky treat. 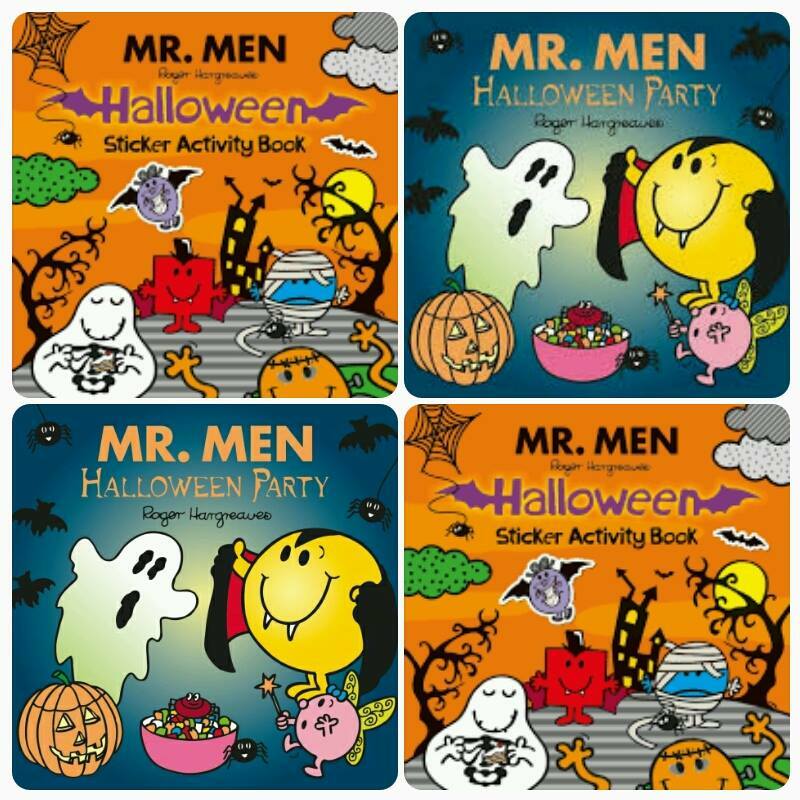 The perfect Halloween treat for all Mr Men fans a new story and activity book, all you need for a Mr Happy Halloween. Join the Mr Men for some creepy colouring, ghoulish games, perfect pumpkins and spooky sticker fun. We loved the Halloween activity book, guaranteed to keep your little witches and ghoulies out of mischief. Join in with Mr Happy’s Halloween party and see if you can guess the mysterious ghost in this new spooktastic tale. I’m a huge fan of the adventures of the brave baker dogs Shifty McGifty and Slippery Sam, so was thrilled when I discovered they had a new illustrated fiction series and this didn’t disappoint. Packed with thrills, spills and mysteries our dynamic duo are back on the case solving more wacky mysteries. Dealing with cheeky ghosts, a power-grabbing red panda and a racoon gang these hilarious stories will captivate the imagination of newly confident readers. 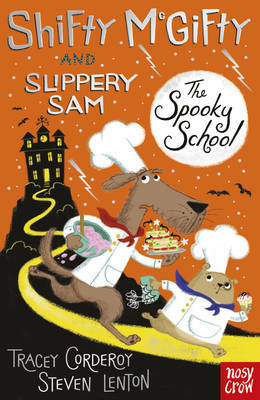 A combination of marvellous storytelling and sublime illustrations ‘Spooky School’ is just divine I absolutely loved it. Bella is back for a third adventure, it’s Halloween and for a young witch that can only mean one thing – havoc! She can’t wait to do ordinary non- magic things like carve a pumpkin and go trick-or-treating like her friends. But when wicked witch Great Aunt Hemlock decides to pay her a visit, things start to go wrong, Can Bella save the day? Another irresistible adventure filled with magical mishaps and quirky whimsical drawings. Allow yourself to be totally bewitched by Bella in this delightful new tale. Watch out for lots of comic spells and broomstick thrills in this madcap adventure. A huge thank you to Egmont, Red Shed, Scholastic and Bloomsbury for sending me copies of these books. This entry was posted in Uncategorized on October 30, 2016 by bookloverjo. When people ask me why I think it’s so important to read I could literally talk for hours about the joys of reading. How it can take you on journeys to weird and wonderful worlds without ever having to leave the comfort of your sofa and offer an escape from whatever you may be feeling. One of the really amazing things that it can encourage is empathy. It allows us to step into other shoes and experience how life and circumstances can affect them. 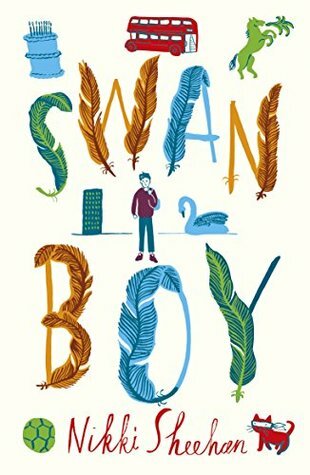 ‘Swan Boy’ by Nikki Sheehan is one of those books which deals with grief and pain in an unusual but poignant way. It gives us an insight into Jonny and his family who are struggling to come to terms with the sudden death of a father and a husband. Not only has the axis of their world been shifted by his death but the family are forced to move away from their home and schools and so the problems begin. Jonny is thrust into the role of father figure with his Dad gone and his Mum working long hours to keep the family solvent. He’s trying to help his Mum, look after his brother and deal with the school bully Liam Clarke who is trying to make his life hell. But when Jonny gets help from an unusual source, a swan who tries to protect him from Liam, his life takes a dramatic turn and life begins to change in the most unexpected ways. Cast as a lead in the school production of Swan Lake Jonny is challenged to be brave and embrace the role. But with the constant threat of the bully’s revenge hanging over him can he overcome the odds and succeed? This entry was posted in Uncategorized on October 26, 2016 by bookloverjo. 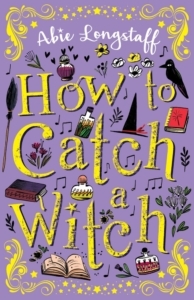 I was really excited to receive an early copy of ‘How To Catch a Witch’ by Abie Longstaff but unfortunately living in a house with two other book lovers I find that quite often they mysteriously go missing. Yet when I ask if anyone has taken them, nobody has they appear to have magically disappeared. Which leads me rather nicely to this marvellous story filled with magic and mayhem which takes everything that we normally see portrayed about witches and turns it on its head. She struggles to fit into school and her anxiety causes her stutter to return making her stand out even more. There are no broomsticks, black cats, wands or ugly old women covered in warts instead we have are introduced to a more modern witch who uses herbs and natural elements to create spells that will heal or protect. Charlie Samuels life is turned upside down when her family are forced to move from the big city to a country village, where everything feels wrong. There is something very strange about her house and she sees and feels things she can’t explain. Struggling to make friends, her anxiety causes her stutter to return making her stand out even more. Nothing makes any sense until she finds a woman living alone in the woods who appears to be a witch and Charlie finds herself drawn into a tale of the unexpected, a tale in which good must do battle over an ancient curse not realising that it will change her life forever. Abie weaves the magical world brilliantly into every day life and takes fairy tale elements seamlessly integrating them into the story in a truly believable way. Yet this sits alongside the realities of the portrayal of Charlie’s difficult life. Her parents are financially burdened, she has lost her best friends and she is terrified to open her mouth to speak to anyone because her stutter is causing her severe embarrassment. She captures the pain and joy of growing up and not feeling comfortable in your own skin. For Charlie it’s the strange sensations she’s feeling, but all children experience this in their own way and reading about others experiences will offer comfort and reassurance. This is an enchanting and captivating story and Abie is a wonderful writer who will delight readers with this magical tale. You are left feeling that you are on the cusp of uncovering a whole new world filled with adventures for Charlie and we even get a sneak peek of the next book ‘How To Trap A Wolf’ which is out in 2017. Thank you to Scholastic for sending me a copy of this book. This entry was posted in Uncategorized on October 24, 2016 by bookloverjo. I love that the inspiration behind ‘The Royal Rabbits’ of London came from a late night conversation between parents and a child who was struggling to go to sleep. The thing he loved the most was rabbits and he imagined them living under Buckingham Palace and so this enchanting story was born. Meet Shylo a hopeless rabbit who is slow and clumsy in contrast to the rest of his siblings who are quick and bouncy, destined to live his life as a permanent disappointment to his family. But when Shylo accidentally stumbles across a bunch of menacing rats who are plotting against the Queen. 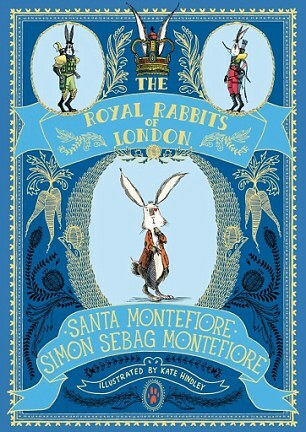 He is forced to find his courage and travel to London to inform the Royal Rabbits in order to thwart their devious plan. In ‘The Royal Rabbits of London’ a truly believable world has been created, you can instantly visualise this hidden society of animals who are so human like in their behaviour. From using tablets and mobile phones as if this is perfectly normal, to reading newspapers yet they still face the challenges that ordinary animals encounter. Prepare to suspend your disbelief and immerse yourself in this journey to discover these undercover protectors of our Royal Family so that this dastardly plot can be spoilt. Follow Shylo as he searches for the hidden depths of his courage as he tries to outwit and outmanoeuvre the enemy. The characterisation in this story is just wonderful from the timid but courageous Shylo, to the nasty greasy Ratzis each character is distinct in their personality. Kate Hindley’s incredibly beautiful and endearing illustrations capture the traits of these characters wonderfully. They complement the story and help to engage readers with their warmth and energy. Delightful and charming, this tale provides a gentle reassurance to children that they don’t have to be the biggest, bravest and most popular to help save the day. Containing just the right amount of terror and danger to captivate the younger reader and give it a real element of suspense this is an exciting read. This entry was posted in Uncategorized on October 20, 2016 by bookloverjo. I am delighted to welcome Andy Briggs to the blog today as part of his ‘Gravity’ blog tour. 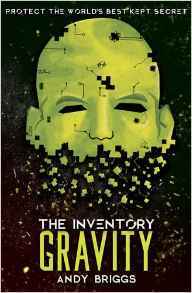 ‘Gravity’ is the second book in the fast paced new adventure series ‘Inventory’ series, packed with high-tech thrills and excitment. The Inventory is a collection of the most incredible technology the world is NOT ready for. Dev’s uncle is the Inventory’s sole curator, so he has grown up amongst some crazy things. In this sequel to ‘Iron Fist’, it’s up to Dev and his friends to recover technology that was stolen in Shadow Helix’s raid on the Inventory. To write you need to be in the moment and in the mood, which means finding the ideal writing place is critical if you want to write anything more than a page at a time. Like most writers, I have my study which is designed for optimal writing performance. I have my desk, a comfy chair and am surrounded by inspirational posters and a selection of toys… um, I mean collectables… to inspire me. I find my study is a great place to write outlines and treatments, but when it comes to heavy duty book writing there are just too many distractions. So I move into the lounge and force myself to write as much as possible (such as this blog!) – with the TV off. Turning on the TV then becomes a reward for when I finish the planned scene or chapter. When that doesn’t work, I move to location three – the library. I have tried working in the public library and, like coffee shops, it offers too many distractions. At home I have a small library filled with my favourite books, travel souvenirs and a fish tank… which is very relaxing. It also allows me to focus on the story without any distractions. I often have lots of meetings for my scriptwriting work, which means heading into London. That may seem like a huge distraction but (to my own surprise) I find I can do a hugely focused burst of writing on the train. At times I have written more on the journey to and from home than I have in an entire day at my desk. It has now become part of my writing ritual! 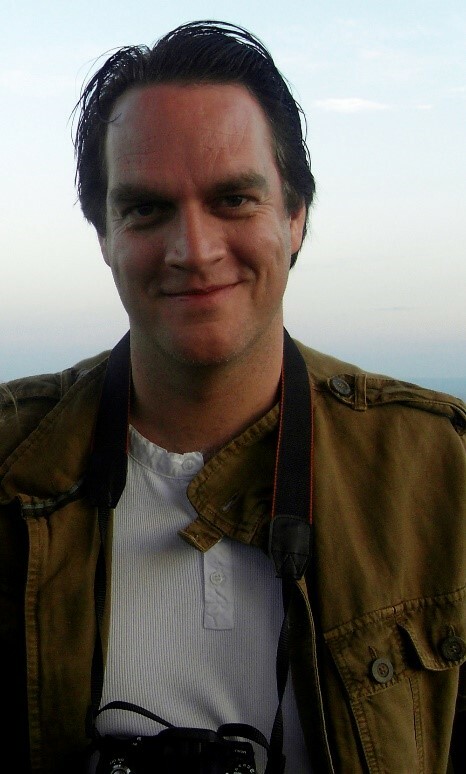 You can follow Andy on Twitter @abriggswriter or visit his website to find out more. You can join in with the rest of the blog tour for more reviews and guest posts. This entry was posted in Uncategorized on October 19, 2016 by bookloverjo. 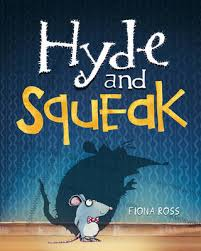 I am delighted to welcome Fiona Ross to the blog today to talk about the marvellous ‘Hyde and Squeak’ a hilarious and witty twist to the Jekyll and Hyde story. Stuffed full of the most glorious illustrations this story will delight and entertain readers, perfect for sharing at Halloween. It is an irresistible combination of spookiness and comedy with plenty of laugh out loud moments. Little Tiger Press were really keen to make a gothic children’s picture book. They selected one of my earlier illustrations they liked for it’s atmosphere, and this kick started the project. Once we’d worked out the basic story outline the drawing began with designing the characters. This involved playing around with different styles to match the tone of the story, which was constantly evolving at the same time. Hyde felt very animated and slapstick in his silliness, so I looked at characters from The Muppets for inspiration. In the book Hyde builds a machine, he’s become a sort of greedy, evil mastermind so of course he needs the help of some crazy device! There was no doubt I was inspired by Heath Robinson’s wonderfully inventive, quirky contraptions. This section of the story was really entertaining but more complex to work out. The detail within the frames had to be simplified so the images weren’t overly busy, the artwork also becomes more graphic and bold allowing Hyde and his invention to be the central focus. I could see Hyde’s ‘Mega Munch Machine’ physically moving along the page and worked out how it functioned, swivelling up and down, spinning and springing, and also propelling him around Granny’s home – even on the ceiling! It was a challenge to show the vehicles potential and movement. I used Lego wheels to print the machines tyre tracks and placed them where they were needed. This also gave me the ability to show the reader where the machine had been and imagine what other funny business Hyde had been up to – he now could have limitless mischief with his invention! Fiona Ross studied illustration at Harrow College of Art before going on to the Royal College of Art to specialise in design for film and television. It is here that Fiona’s TV and Film career began. 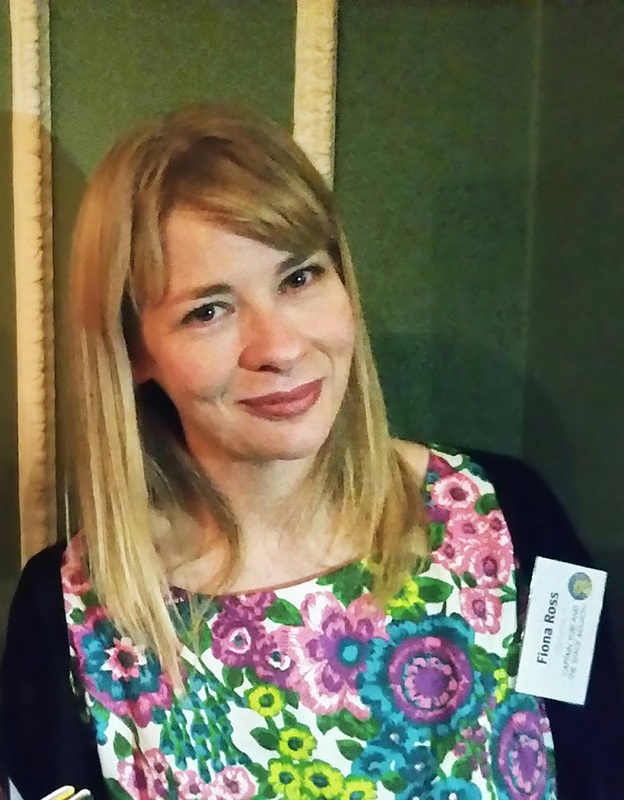 From designing for BAFTA nominated projects to storyboarding and making models for cinema blockbuster’s Fiona has done it all. She has now turned her talent to children’s book illustration. Originally from Barnsley in South Yorkshire, Fiona now lives in London. 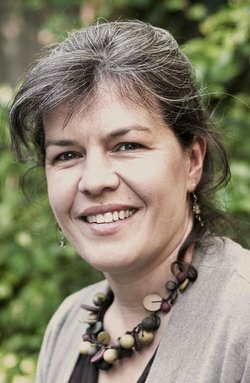 You can follow Fiona on Twitter @fionarossbooks or visit her website to find out more. This entry was posted in Uncategorized on October 18, 2016 by bookloverjo. 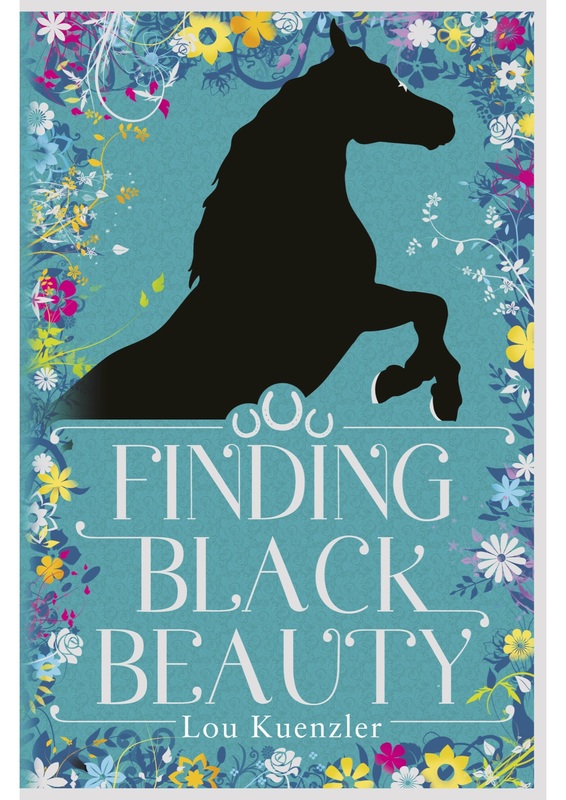 ‘Finding Black Beauty’ is a delightful re-imagining of Anna Sewell’s classic adventure ‘Black Beauty’ from Lou Kuenzler. Lou takes the character Joe Green the poor inexperienced groom from the original novel and retells the story from his viewpoint. Except it has the most marvellous twist. Joe is in a fact a young girl Josie ,who masquerades as a boy after her cruel Aunt casts her aside whose son inherits the family home after the death of her father. She becomes a groom in order to be nearer her horse and to escape from her fate as a companion to an elderly lady. Going from a life of luxury to a life of despair seems intolerable but then Josie falls in love with a horse called Beauty and she is prepared to suffer any hardships to be near him. But when they are cruelly separated she travels to London on a desperate mission to find him. I absolutely loved the twist in this familiar tale it was a truly enchanting and wonderfully uplifting story. Josie or Joe Green as she becomes is the most endearing character, she is spirited and determined despite facing incredible challenges. Her passion and love for Beauty consumes her and the difficulty of her circumstances pales into insignificance. We are taken on an emotional journey of love, courage, and the power of friendship as Josie sacrifices everything on her quest for her beloved Beauty. Perfect for fans of animal stories, this marvellous adventure will captivate and delight readers. To find out more about Lou Kuenzler you can visit her website, find her on Goodreads or follow her on twitter. If you haven’t already why not try the Shrinking Violet, Princess Disgrace and Bella Broomstick series they come highly recommended by both of my girls. Thank you to Olivia Horrox and Scholastic Books for my copy of this gorgeous book. This entry was posted in Uncategorized on October 11, 2016 by bookloverjo.